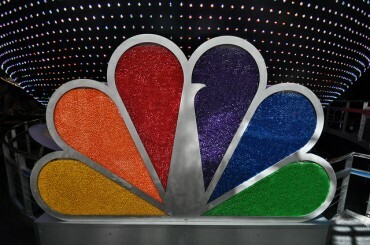 The peacock network reps share their take on last night’s ratings for 30 Rock and Up All Night. Also included are the numbers for The Tonight Show with Jay Leno, Late Show with David Letterman, Nightline, Jimmy Kimmel Live, Late Night with Jimmy Fallon, Late Late Show with Craig Ferguson and Last Call with Carson Daly. (Due to live coverage of the Vice Presidential Debate, fast-affiliate ratings are subject to significant adjustment in official nationals). * In metered-market households, which are time zone-adjusted, results for “30 Rock” and “Up All Night” matched their ratings from last week (2.7/4 and 2.4/4 respectively in metered-market households). * Currently in fast-affiliate results, which are subject to revision, “30 Rock” is matching its week-ago 18-49 rating (1.4) and “Up All Night” is within 0.2 of last week’s 1.4, and both shows are currently up week to week in total viewers (pending updates). * Fast-affiliate ratings for NBC News’ live coverage of the Vice Presidential Debate from 9-11 p.m. are not time zone-adjusted and are subject to change. * In Nielsen’s 56 metered markets, household results were: “The Tonight Show with Jay Leno,” 2.5/6; CBS’s “Late Show with David Letterman,” 2.1/5; and ABC’s combo of “Nightline,” 2.6/6; and “Jimmy Kimmel Live,” 1.3/4. * In the 25 markets with Local People Meters, adult 18-49 results were: “The Tonight Show with Jay Leno,” 0.7/3; “Late Show,” 0.5/2; “Nightline,” 0.8/3; and “Jimmy Kimmel Live,” 0.5/3. * At 12:35 a.m., “Late Night with Jimmy Fallon” (1.3/4 in metered-market households) beat CBS’s “Late Late Show with Craig Ferguson” (1.1/4). In the 25 markets with Local People Meters, “Late Night” (0.5/3 in 18-49) topped “Late Late Show” (0.4/3). * At 1:35 a.m., “Last Call with Carson Daly” averaged a 0.8/3 in metered-market households and a 0.3/3 in adults 18-49 in the 25 markets with local people meters.